After more than six years of international involvement, Afghanistan has not clearly emerged out of the danger zone and remains a troubled country with high levels of violence. The Taliban attack on the military parade yesterday in the heart of Kabul was a stark reminder that the state and nation building process is still incomplete, infirm and vulnerable to clash of interests among social and political groups. 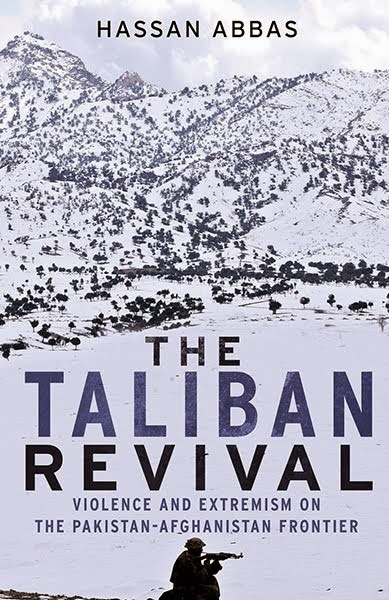 In the failure of the reconstruction of state and its institutions, the Taliban have found an opportunity to stage a comeback with larger numbers in their ranks, and perhaps with greater motivation. With every daring episode, it appears to indisputable that the Taliban have greater fighting capacity than they have had in years. What is more troubling is that they have found a great deal of support among the disillusioned local populations. Afghanistan is once again gripped with fear, uncertainty and hopelessness because the gains in rebuilding its security, politics, society and economy are relatively limited. A lot of progress in Afghanistan has been made as the country has once again put some institutions back in place, and there is great international interest in its future, but growth and positive improvements are well short of popular expectations. What really troubles Afghanistan? There is some frank discussion of failures, lost opportunities, misplaced priorities and structural constraints in rehabilitating the war-torn country. In a recent interview to the New York Times, President Hamid Karzai made three important comments about the situation in his country, which reveal a great deal about his disappointment, powerlessness and the dilemmas he and his country face today. What strikes the reader is an open critique of American policy in handling his country; particularly the way the war on terror has been conducted. 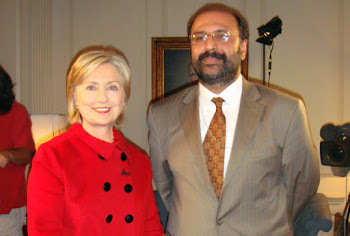 He appears to be critical of US and NATO forces for targeting Afghan villages and causing huge civilian causalities. Foreign forces have not been very sensitive to what happens to ordinary Afghans as long as they achieve their targets in pursuit of the Taliban. Counterinsurgency wars have their own professional logic, but whatever happens on the ground has serious political consequences. The political fallout of regular bombardment of rural Pashtun areas and launching of ground operations is not pleasant for Mr Karzai or other Pashtun leaders cooperating with the United States and NATO. The Pashtuns have been suffering from a sense of political alienation, and even re-integration through electoral politics and presence in the legislature has not eliminated the impression that that their ethnic rivals call the shots and dominate vital state institutions. The Pashtun estrangement has worked to the advantage of the Taliban. In conflicts like the one in Afghanistan, the political truth is what the general population feels and believes, not what the most powerful elements want them to think. One of the many failures of the Afghan government and its international backers is that with each successive year in the war on terror, they have lost credibility. We know they have had an uphill task of convincing a warring nation with a long history of resistance against foreign invasion that this latest intervention and the raining of heavy bombs stuffed with depleted uranium is good for their future. Perhaps this line could get some acceptance if the positive gains of reconstruction and redevelopment are more visible. Another important issue that creates a big gulf between the Afghan ruling group and the general population is who really runs the country. The question of sovereignty, although it does not mean effective writ of the state, is important in the Afghan political imagination. There is a growing sentiment in the country that their government has no control over important policies and in determining political direction. This attitude is reflected in the growing critique of the way the US and NATO are conducting the war. The Afghans, including those in power, often assert that foreign forces have a bullish approach and hardly show any sensitivity to civilians caught in the crossfire. The war on terror, which was anticipated to be brief, has taken too much time to pacify Afghanistan. It has created an impression that the Americans have occupied the country and are digging their heels for some larger strategic purpose. Anybody familiar with Afghan history would know that never have the Afghans been very kind to the invading armies. We know the refrain from the contemporary war on terror; it is about state and nation building and it is aimed at the terrorists. However, local populations have to be convinced about why foreign forces are on their territory. The political experience of the Afghans during the past six years confirms their old fears that they are once again occupied. These perceptions may have changed with greater signs of progress and development. The economic and social reconstruction that was expected is too late and too little, and has already fuelled discontent. And why wouldn’t the Taliban make a good political harvest of that sentiment, which they have effectively done in some parts of the country. The situation in Afghanistan, though far from satisfactory, can improve with corrective measures and by learning from past mistakes. One remedial measure would be listening to the Afghans, their concerns and their expectations, which have not been adequately accommodated in the past. The Afghans must have a greater role in the war on terror by acquiring greater capacity to take ownership. It is indeed a very delicate but serious issue when the foreign soldiers are deployed in a country that does not have an independent capacity to secure itself from internal and external threats. When foreign forces have put their lives at stake and used their taxpayers’ money and are accountable to their parliaments and peoples, they will exercise greater power than the local hosts. This is dilemma that the states involved in Afghanistan have found themselves in; a larger part of their sovereignty is lost in the hope that they would be built up as stable and secure societies to govern themselves better. The Afghans have the social capacity to revive themselves and their society, which has been crippled by thirty years of war. The international coalition must turn to the revival of Afghanistan, which will be more effective path lead peace and harmony.